Native to Eurasia, Orange hawkweed was most likely introduced to North America as an ornamental plant in the early 1800s. 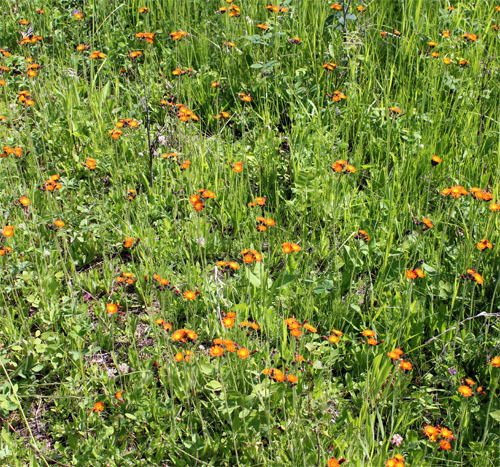 Orange hawkweed invades grassland and quickly forms dense mats of rosettes. It changes the soil chemistry by lowering the pH, which makes the habitat less suitable for native vegetation. 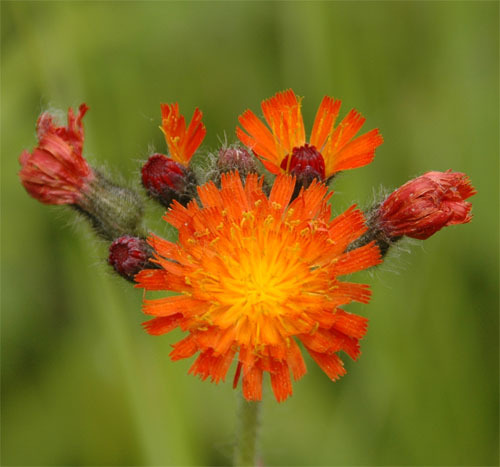 A key characteristic of this particular hawkweed is the orange-red color of its flowers. The flowers are borne in a cluster of 5 to 30 heads at the end of the stem. The majority of the leaves are at the base of the plant. 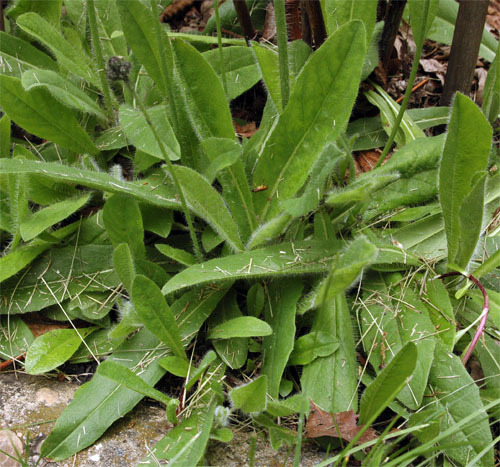 The leaves are lance-shaped or spoon-shaped and covered with bristly hairs. Stems are erect, up to 90 cm tall and are covered with bristly hairs. 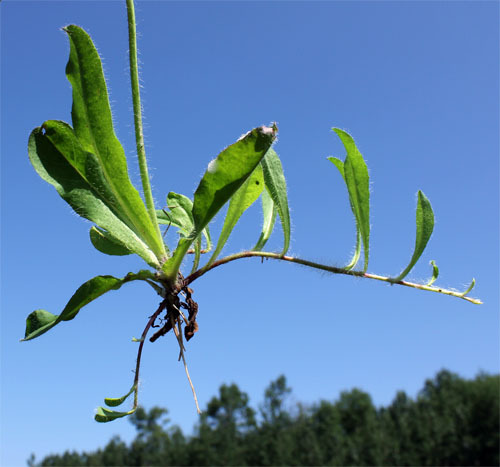 Orange hawkweed usually has stolons and rhizomes.